Zig shares tips and techniques from his vast wealth of sales experience. His insights will prove to you over and over why this is the definitive how-to sales program. This powerful series of 12 timeless sales sessions will help you close more sales today as you build a career for tomorrow! 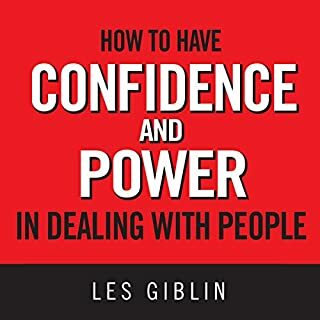 Taking a brass tacks approach to communication, How to Have Confidence and Power in Dealing with People explains how to interact with others as they really are, not as you would like them to be. The goal is to get what you want from them successfully - be it cooperation, goodwill, love or security. Sharing strategies and answers from a lifetime of selling, Jeffrey has packed The Little Red Book of Selling with the information you've been searching for. You'll learn a philosophy of success - long term, relationship-driven, and referral-oriented - that has nothing to do with manipulation or other old-world sales tactics, and has everything to do with understanding buying motives and taking ethical, relationship-building actions. Brian Tracy, one of the top professional speakers and sales trainers in the world today, found that his most important breakthrough in selling was the discovery that it is the "Psychology of Selling" that is more important than the techniques and methods of selling. All of us are involved in selling every day. Whenever we present a product or a principle, inform a client, or instruct a child, we are engaging in the art of effective persuasion. Allow America's master of the art of selling to explain proven, practical sales techniques all of us can use every day. Seriously probably the most impactful book I have ever read! Start closing sales like top producers! Have you ever found yourself at a loss for what to say when the gatekeeper asks you what your call is about? Have your palms ever sweated when the decision maker shuts you down with "I wouldn't be interested"? Has your heart taken a fast dive into your stomach when, at the start of your presentation, your prospect tells you that they've thought about it and are just going to pass? Are you finally ready to learn how to confidently and effectively overcome these objections, stalls, and blow-offs? People don't buy from people they like. No! Your buyer doesn't care about you or your product or service. It's not your job to overcome objections, it's your buyer's. Closing isn't a skill of good salespeople; it's the skill of weak salespeople. Price isn't the main reason salespeople lose the sale. Gap Selling shreds traditional and closely held sales beliefs that have been hurting salespeople for decades. For years, salespeople have embraced a myriad of sales tactics and belief systems that have unknowingly created many of the issues they have been trying to avoid. 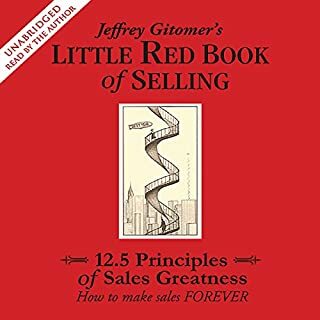 Jeffrey Gitomer's best selling work in which he shares his tips on how to be a successful salesperson has a new edition and is now available on audio. He provides motivational advice and practical techniques for initiating, maintaining, and closing a sales presentation. A business classic endorsed by Dale Carnegie, How I Raised Myself from Failure to Success in Selling is for anyone whose job it is to sell. Whether you are selling houses or mutual funds, advertisements or ideas - or anything else - this book is for you. When Frank Bettger was 29, he was a failed insurance salesman. By the time he was 40, he owned a country estate and could have retired. What are the selling secrets that turned Bettger's life around from defeat to unparalleled success and fame as one of the highest-paid salesmen in America? This book is the best book I've ever read (heard) on the topic of selling and self improvement. 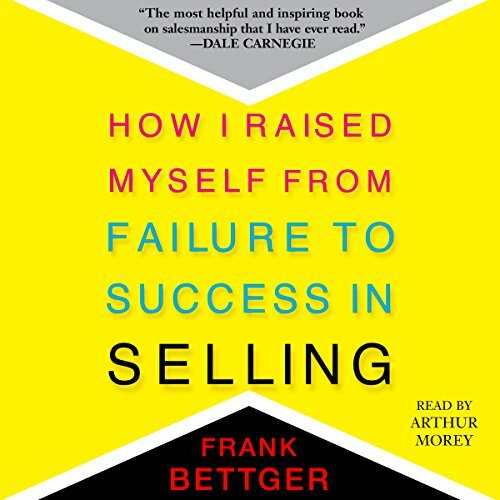 Frank Bettger makes selling easy to understand and gives practical assignments that are sure to improve not only your power of persuasion, but also your life. I highly recommend this book for everyone, as selling (helping people overcome their fear of change and take action on solutions to improve their lives) is a valuable tool for all of us to master. easy to read and listen to. great information and advice. even though it's written a long time ago, almost every principle still applies today. one of my new favorites! Anyone in sales should read this. I've read at least 30 sales books this year. This one is in my top 5. 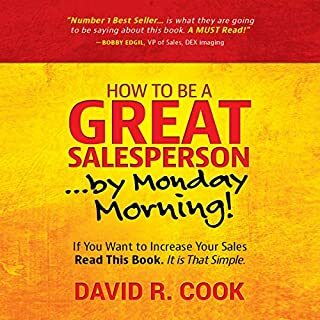 I am not a sales person, and I found this book to be very enjoyable and helpful. The stories and tips can help in so many different situations and roles. From convincing someone to see your side of an argument to just good ol' people skills. Highly recommended. This is a great book no matter what business you're in! Although it takes place in a different era the principles apply just as much in today's business world. This is all you need my fellow sales men. With this book you will do wonders. 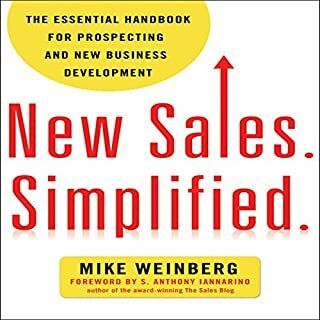 amazing resource of great tips and valuable insights on the art of selling. advice is old but timeless and helpful. A good read for any sales driven person that want to do business the right way. 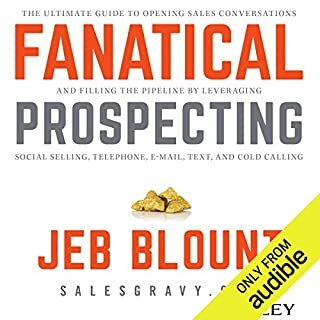 What an excellent read on salesmanship. Every salesperson should have this book in their toolbox. I found d this a little dated. general topic is sound but written too long ago. There is no escaping the fact that this book is from a bygone era, but if you can see past references to index cards, using the customer’s telephone and the general assumption that all businesspeople are men and all women are wives and secretaries,the principles (and they should be regarded as principles, in that they are timeless) remain highly relevant. In fact I’d go so far as to say they are even more important given our current susceptibility to being seduced and distracted by tech and the promise of ‘social selling’. After 30 years of selling technology, I found this book to be an excellent reference to bring me back to some long overlooked fundamentals. The fact that the audiobook is delivered in such a gentle and unassuming way made it feel like being in a fireside chat with your favourite grandfather who has been mentoring you for years. If you like Grant Cardone and his pace of delivery, you may find this a bit pedestrian. For that very reason the contrast provided by this audiobook is the yang to that particular ying and to the typical go-getting brashness of other ‘how to’ books. I loved it. great listen. perfect for fledgling salesman not hitting the mark. perfect for figuring out how it's done. Great book will be listening to it again very soon. I would highly recommend a go. Very in depth explanations of timeless principles and techniques. The narrator did a good job of bringing the book to life . This book is a classic I'm surprised that people don't talk about it more. Some of the ideas are applicable to more than just sales; like improving your memory, organising informaion etc. 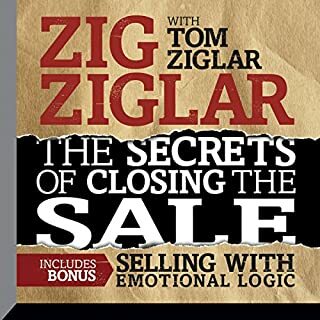 This books covers everything from giving a structure of the sale to breaking down the individual steps. It also discusses the psychology at work during key moments of the sales. Enjoyed the book, made plenty of notes. Even though the book is quite old it is very practical and applies to many situations presently. Dense with practical knowledge, timeless. An absolutely marvelous listen. I highly recommend this to anyone not just sales professionals, but anyone who needs to communicate their life.